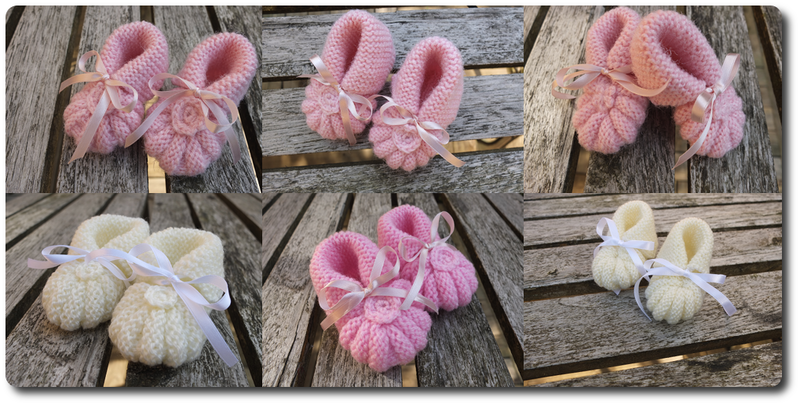 I knit a few baby booties. They are made from a traditional nordic pattern. Well, not that traditional, probably from the time just after the war. Most knitters at that time probably knew the pattern by heart, at least it seems to have been very popular. I used this Danish pattern (free) from 1945, but if you don't read Danish, not to worry it's been typed up in lots of languages at ravelry.com. 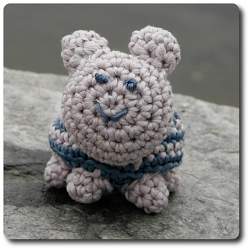 It's a quick and easy knit, and lots of yarns can be used. A nice project for leftovers. I also made a blue set with a hat. 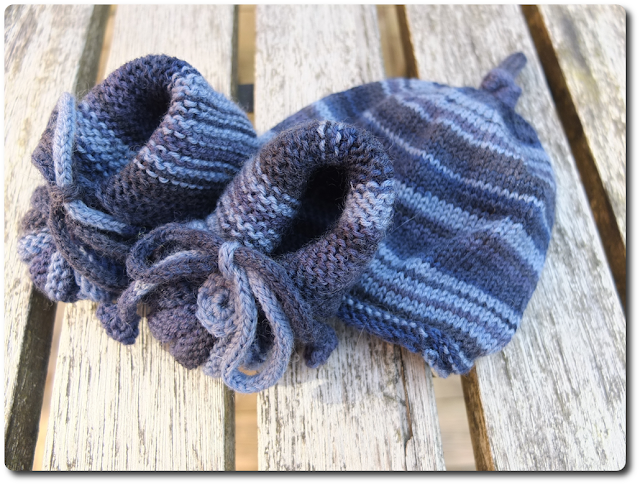 The hat is just a standard pattern for baby hats, don't know where I learned it. I just added a top that can be tied.